1. 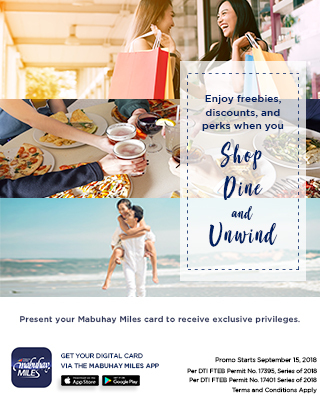 Customers must present their Mabuhay Miles membership card (Physical or Digital Version, Mabuhay Miles Travel Card, PNB Mabuhay Miles Credit Card), together with a valid ID to avail of a minimum 10% Discount on items at participating Intersport branches. 6. Offer is not applicable to special releases items, New Balance apparel, accessories and footwear made in USA and UK.